Samsung introduced the all new Galaxy A (2017) series a few weeks back. The new devices are set to hit retail in Europe sometime in February while the Asian markets are expected to get it by the end of this month. According to a new report, the Galaxy A3 (2017), Galaxy A5 (2017) and Galaxy A7 (2017) are already up for sale in Russia through various retailers in the country. The all new Galaxy A3 (2017), Galaxy A5 (2017) and Galaxy A7 (2017) are priced at 22,990 rubles ($387), 27,990 rubles ($471) and 32990 ($555) rubles respectively. 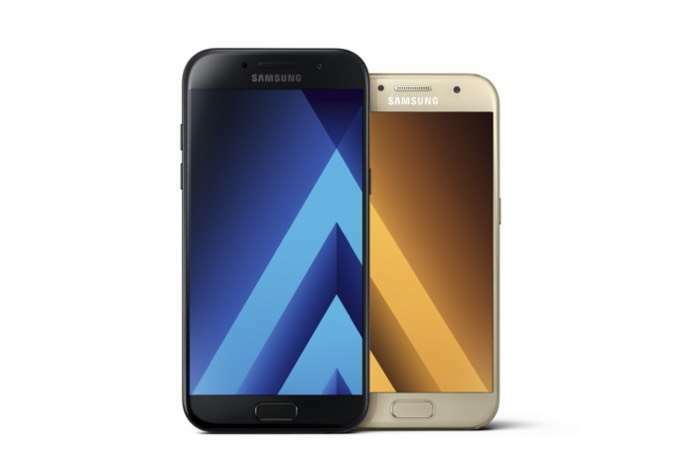 This makes Russia the first market to get the new Galaxy A Series handsets. In case you don’t know, the handsets are already up for pre-orders in the UK. The all new Galaxy A (2017) series comes with a pretty decent set of specifications, offering a good resolution display, 2/3GB of RAM, 16MP cameras, IP67 certifications making the handsets dust and water resistant, and Android 6.0.1 Marshmallow pre-installed out of the box. We’ll update you as soon as the handsets are available for sale in other global markets across the globe.